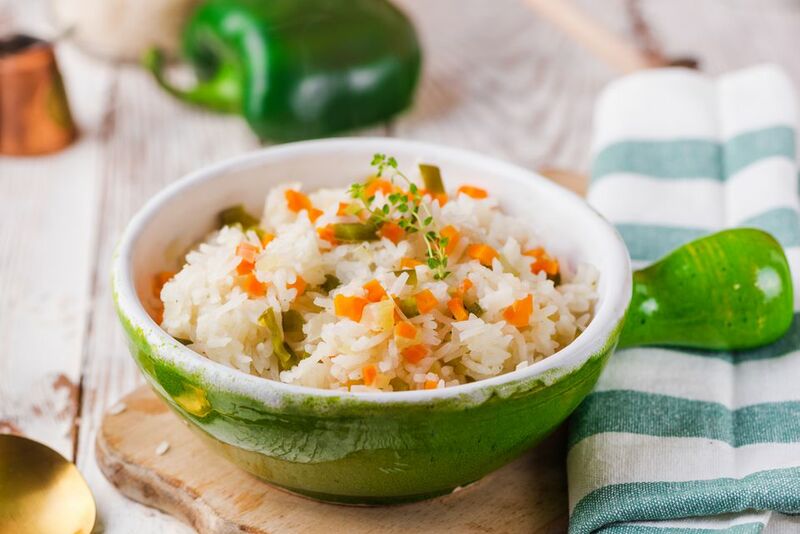 This easy rice dish is baked with a mixture of chopped celery, onion, bell pepper, and carrot. This is a tasty side dish, and it's a snap to fix and bake. Feel free to make it a main dish by adding some ham, chicken, leftover roast beef, or tofu. Combine all ingredients in a 2-quart baking dish, stirring well. Cover tightly and bake at 350 F for 1 hour. Serve alongside your choice of entrée and enjoy!